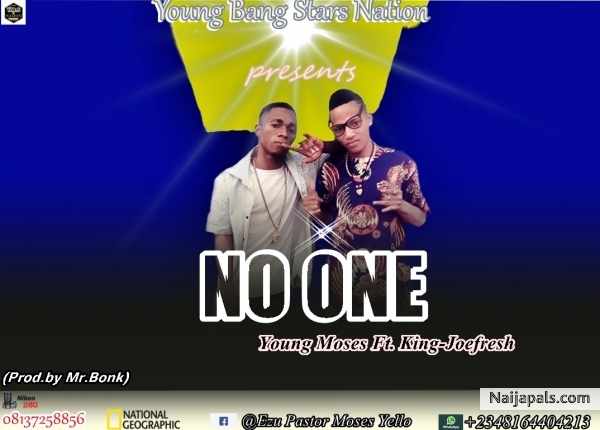 Young moses the fast rising Gospel Artist released his first single featuring the Hip Hop Artiste 'KING-JOEFRESH'. 'NO ONE', is a wonderful and cool gospel song that really concerns about God. Download now and enjoy the cool gospel song. Feel the vibe.